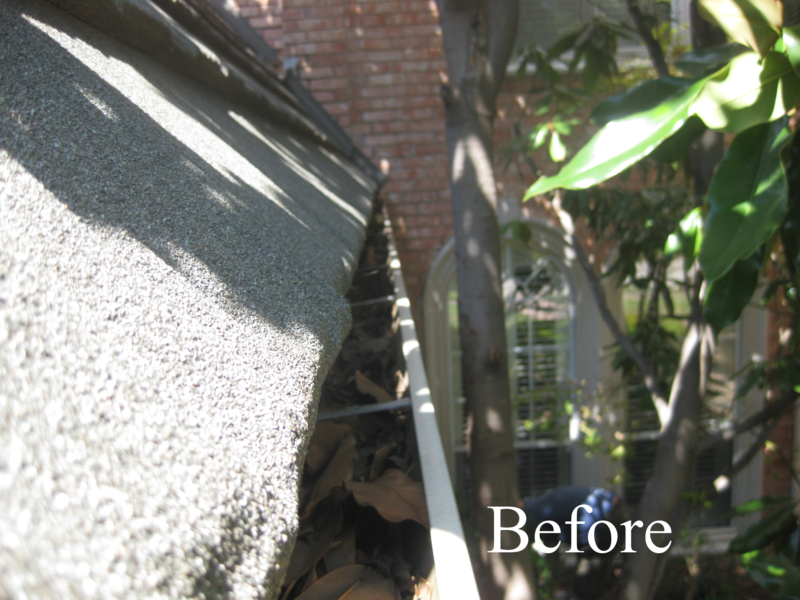 Gutters accumulate dirt, debris, and leaves over time causing build up that will weigh on your gutters. It is important to have your gutters cleaned every year to prevent the buildup of debris and stagnation of water. Having Allshine Gutter Cleaning Grapevine TX clean your gutters annually will protect your landscape as well. Gutter cleaning services and maintenance preserves the value of your home. Our highly trained rain gutter cleaners have a sterling safety record for gutter cleaning Grapevine TX. 2. How much does it cost to have my gutters cleaned in Grapevine TX? We offer affordable gutter cleaning prices depending on the size of your home. Our average price is $.50 cents per linear foot of gutter. 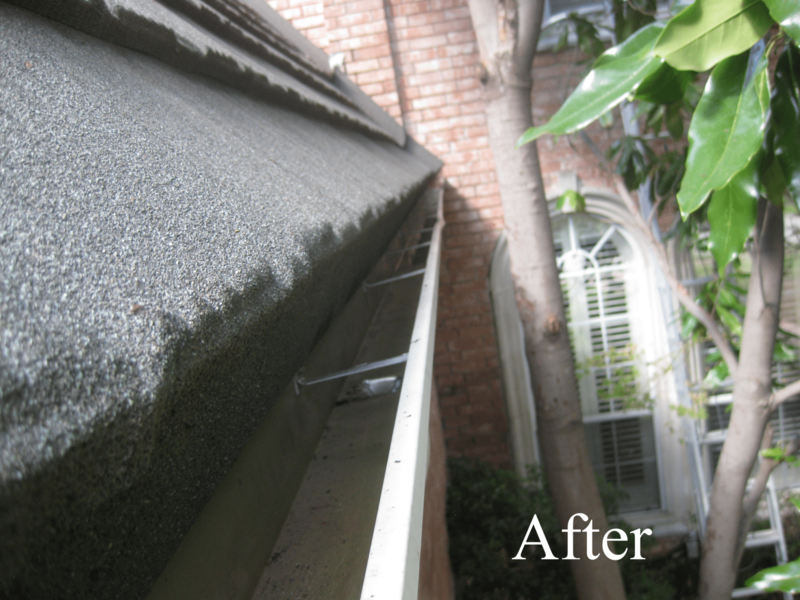 Having your gutters cleaned will save you money caused by water damage in the long run. 3. How Long Does It Take To Get My gutters cleaned in Grapevine TX? An average gutter cleaning Grapevine TX takes anywhere from 30 minutes to three hours and will leave your gutters in excellent and perfect working condition. 4. How often should I have my gutters cleaned in Grapevine TX? 5. Do you guarantee your work in Grapevine TX? Yes, we guarantee that your gutters will work properly and your downspouts will flow freely for 30 days. All­shine gutter cleaning Grapevine TX guarantees your complete satisfaction. 6. How do I pay for the gutter clean­ing service in Grapevine TX? Pay­ment is due upon com­ple­tion of work, we accept checks, Visa, Mastercard, American Express, Diners Club and PayPal. A fee will be accessed for all returned checks for gutter cleaning Grapevine TX. Busi­ness hours fall between the hours of 8 am and 6 pm Monday thru Saturday and ser­vices are com­pleted dur­ing this time. We reserve the right to can­cel sched­uled service due to inclement weather for gutter cleaning Grapevine TX. Do you provide residential and commercial gutter cleaning services in Grapevine TX? Yes, we provide gutter cleaning at any property in Grapevine TX. The highest compliment a customer can give us is a referral to their friends and family. We, at Allshine, understand that your satisfaction is the key to our success. We will work hard to provide you with an exceptional service so that you can confidently refer Allshine Gutter Cleaning Grapevine TX to your friends and neighbors. If you’ve ever cleaned gutters then you know how time-consuming and dangerous it can be. Don’t be one of those unfortunate folks who see their property fall apart because of neglected gutter cleaning Grapevine TX. Call today or fill out the free estimate form for a free, no-obligation estimate for Gutter Cleaning Grapevine TX. (817) 946-5360.